This tool allows you to easily and quickly edit the text at the beginning of Pokemon Fire Red Version. You can also edit the random names for the player and the rival. 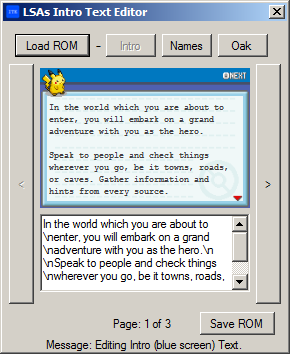 It also allows you to edit all the text Prof Oak says at the beginning of a game.